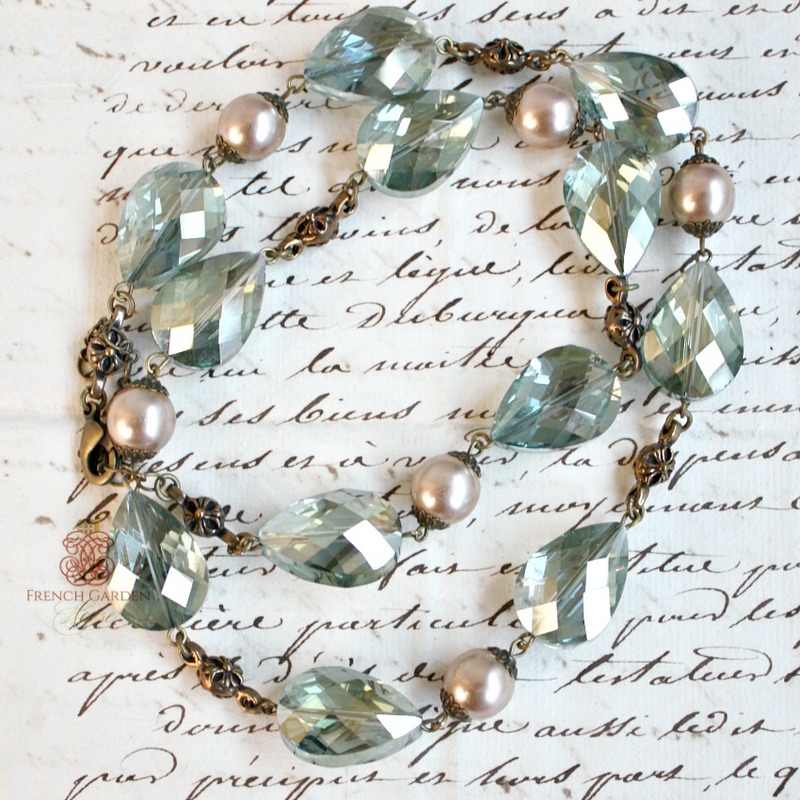 Need a knock-out statement necklace for your upcoming night at the opera? 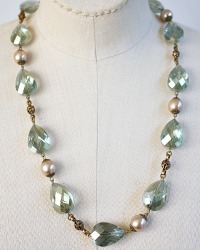 This beautiful crystal pendant necklace with champagne Haskell pearls is it. 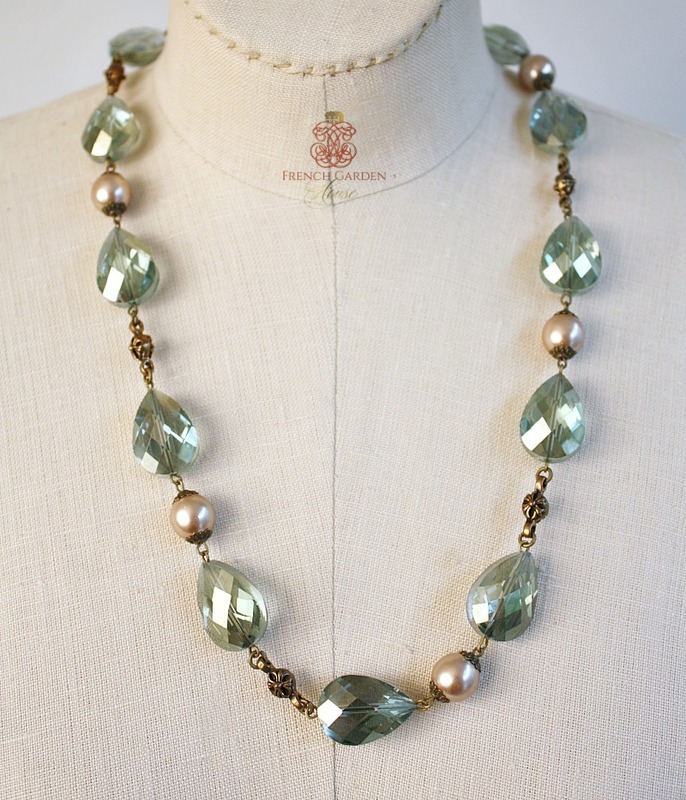 The large faceted tear drop crystals glow with a shine you won't believe, in a luminous soft peacock green. Not to be outdone, the large champagne pearls, of incomparable quality, texture and luster were persoanlly designed, for and curated by Miriam Haskell, doyenne of finest quality costume jewelry. 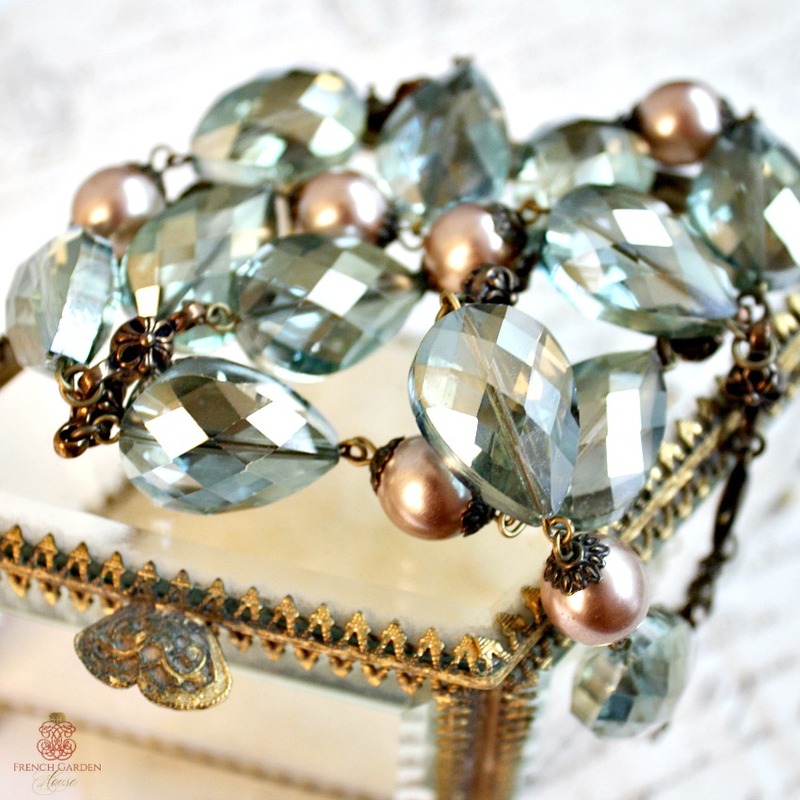 One of a kind so that only you will have one, this necklace is bold, yet utterly feminine and romantic. Perfect with a simple shirt and jeans, or go all out with a low cut evening gown. Perfect addition to your jewelry collection. Measures: 24-1/4" with an 2-1/4" extender.